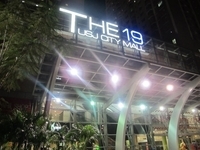 The 19 (also known as The 19 USJ City Mall) is a freehold shopping mall located in USJ 19, UEP Subang Jaya.The built-up available at this project is 223 sf to 233 sf. 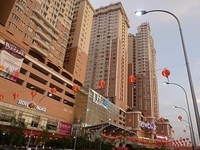 Other neighbouring projects around are Da Men Mall, IOI Mall, M Square, Main Place Mall, Puchong Perdana Complex, Skypod Square, The Place and The Summit. As for metro transport stations, there are LRT USJ 21 and LRT Wawasan. There are also some universities here, such as Epitome College and Reng College Of Technology & Design. The current market prices for The 19 are from RM80,000 (about RM340 psf); while the monthly rentals are not known at this time. The highest median price psf ever recorded was RM1,004 psf in Q3 2009; while the lowest one was RM342 psf in Q1 2019. The most popular layout and size combination at The 19 is 223 sf with a median price of RM340 psf. For price wise, the most expensive one is 233 sf with a median price of RM340 psf; while the cheapest one is 223 sf with a median price of RM340 psf.